Hands clapped and tails wagged for these down-to-earth newlyweds. The sweet couple, Grayson and Savannah, tied the knot in an intimate wedding ceremony at the Seibels House & Garden on November 3, 2018 with all of their loved ones. The couple’s precious dog, Sulley, also got to join in on all of the wedding fun! This handsome Yorkie wore a bowtie and wagged alongside Studio B to help Savannah get her hair and makeup done for the big day. The newlyweds even walked down the aisle with Sulley. The ceremony décor was elegant and airy. This allowed for Jessica Roberts Photography to capture gorgeous photos surrounded by greenery! After the ceremony, guests were welcomed to a cocktail hour in the lush gardens. Tasty drinks and delicately delicious hors d'oeuvres were served courtesy of the Palms Grill & Bar. After making their rounds to their guests and taking lovely portraits, the couple headed inside for the reception. Vibrant ivory flowers, including lots of calla lilies, and plentiful greenery from Lexington Florist perfectly adorned the Seibels House in an effortlessly classic style. Timeless white and deep blue chinoiserie dishes were set on the tables. Savannah’s mother acquired these stunning dishes from multiple antique stores! Crisp linens and vintage chairs were provided by Party Reflections to tie everything together. The antique foyer table was used as a head table for the couple to dine with their parents, while still being close to everyone else in the home. The wedding reception allowed enthusiastic guests to toast to the newlyweds and enjoy a mouthwatering three-layer cake decorated with royal blue flowers. The couple was beaming and having a blast as they cut the delicious cake from Parkland Cakes. The antique glass tables in the sunroom provided an elegant space for their delicious spread. Guests were given adorable bags of cookies as a parting gift. This was a memorable (and delightful) way to remember the fun day friends and family got to share! 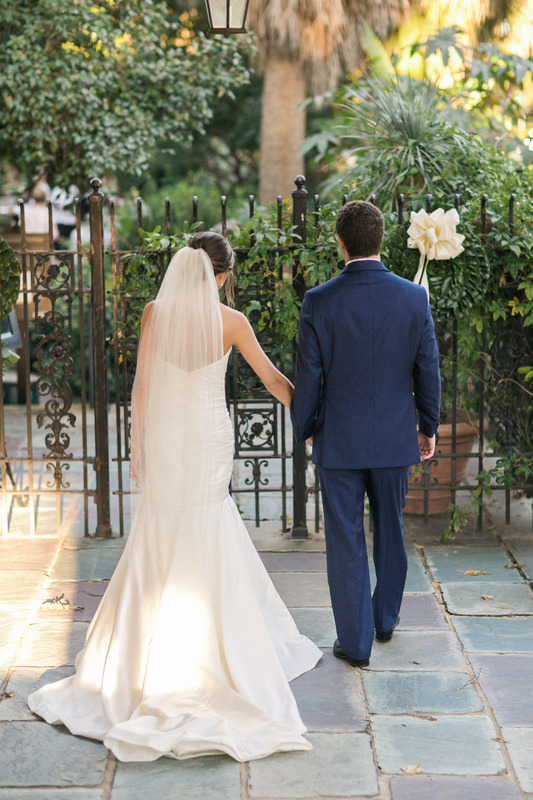 The Seibels House & Garden was a perfect location for this intimate, romantic affair. We invite you to look below at some treasurable moments from Jessica Roberts Photography. If you’re ready to start your own journey to Historically Ever After, contact Brittany today!